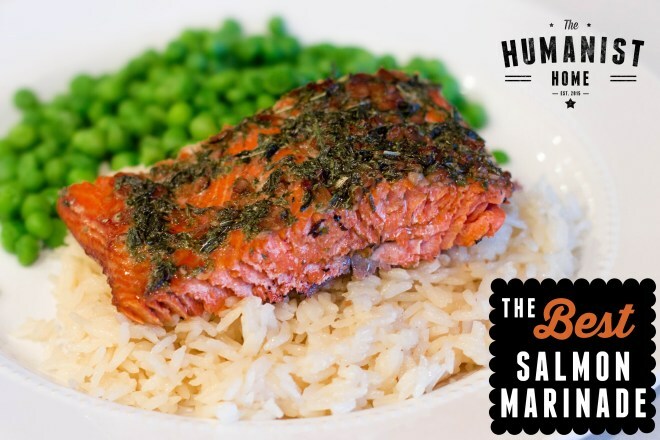 Home » Uncategories » Food || The Best Salmon Marinade Recipe EVER! I was lucky enough to grow up just down the road from the Fraser River in BC, Canada & some of the best Salmon fishing in the world. Our freezer is always stocked & salmon is a staple in this house. This recipe is copied out of my Mom’s handwritten recipe book, so unfortunately I don’t know it’s origin. Every year, my Mom tries out various salmon recipes that she comes across, and each and every time we tell her to stop it and just use this one. It’s stood the test of time and is a family favorite. 1 – Mix all of the above ingredients, aside from the salmon. 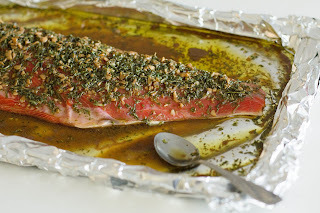 3 – Pour Marinade over salmon, cover and put in fridge. 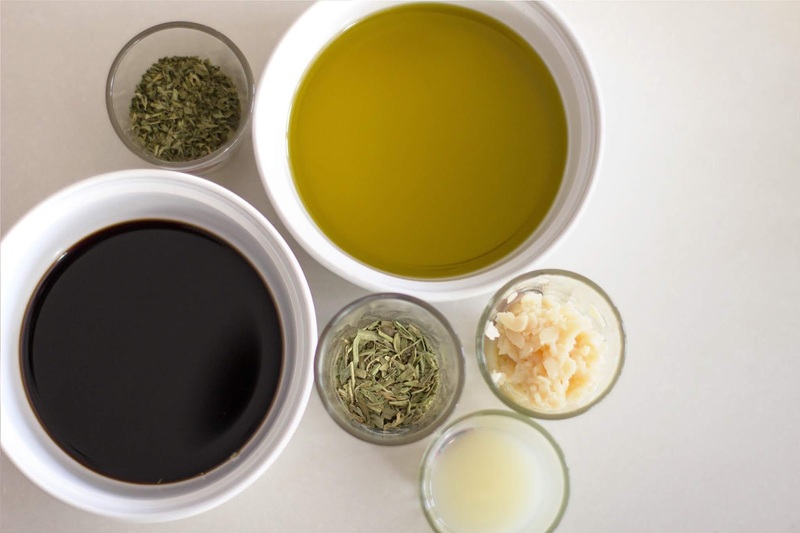 Let it sit in the marinade for at least one hour, but can be left longer (overnight even). 4 – Preheat oven to 400 degrees or turn on BBQ (I prefer BBQ, but it tastes just as good in the oven). 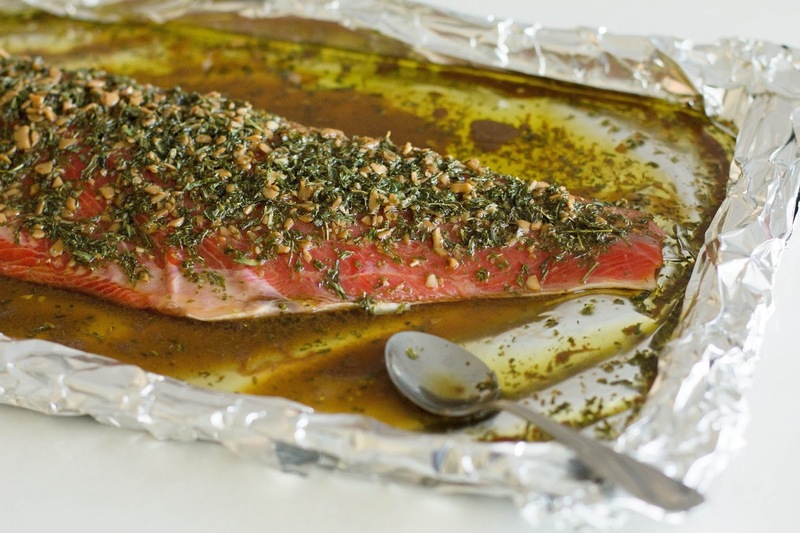 5 – Drain excess oil/marinade from pan or remove salmon and place onto a new tin-foil lined pan *Important, we aren’t liable for any grease fires. 6 – Cook salmon for 10-15 minutes. DO NOT overcook, it will get hard and dry. If you’ve tried it out, let me know how it turned out in the comments below!